Item 5: Please provide the data and methodologies used to calculate travel times between stations. In particular, please include the parameters for acceleration, deceleration, frontal area, rolling resistance, g force, and the weight of the train set that was used in the calculations. The government has consistently said that the on-train travel time between Kitchener and London will be 73 minutes. Our calculations, using European parameters for train performance, show that an on-train travel time of 73 minutes can only be obtained by travelling at speeds in excesses of 175 kph through residential areas and city centres. Slowing down to 80 kph in the cities results in the travel time of about 105 minutes. Independent calculations by others predict the travel time to be about 110 minutes. Both these numbers are reasonably consistent and show that the government is understating the on-train travel times by at least 30%. The existing VIA Rail service takes about 130 to 160 minutes to travel between Toronto and London, and, if it were true, the 73 minutes is a significant improvement. However, the government has failed to compare equals. HSR will have new track separated from freight, new locomotives capable of 250 kph, with a limited number of stations, and have the advantage of the Brampton freight bypass and improved track east of Guelph. If the same infrastructure improvements were made to the existing rail line, what would the travel time be using VIA Rail, GO Trains and Regional Express? So how did the government calculate 73 minutes? item_5_R The short answer to the question of how the government calculated 73 minutes is they didn’t – it’s just a guess. Some of the information in this report is incorrect. For example, it assumes HSR with overhead electrification can share the same track as freight – it can’t since freight requires high clearance for double stacked containers. The report also confuses the Alstom/Bombardier Acelea with the Alstom Acela – the Alstom/Bombardier Acelea never went into service as it couldn’t meet the performance specification and the trains were rebuilt by Alstom in order to be accepted by Amtrak. No acceleration or deceleration numbers are provided for the Alstom Acela, the only train certified for 250 kph operation in North America. However, the government assumes the acceleration of the trains to be 0.44 m/s2 and a deceleration of 0.90 m/s2. 0.90 m/s2 is acceptable for coaches with hand-holds (i.e. subway cars) but it is not acceptable for trains where passengers can be expected to walk around. The accepted European deceleration rate is 0.50 m/s2 for passenger trains. Travel times are estimated to be 72 kph using 300 kph trains and 84 minutes using 200 kph trains. 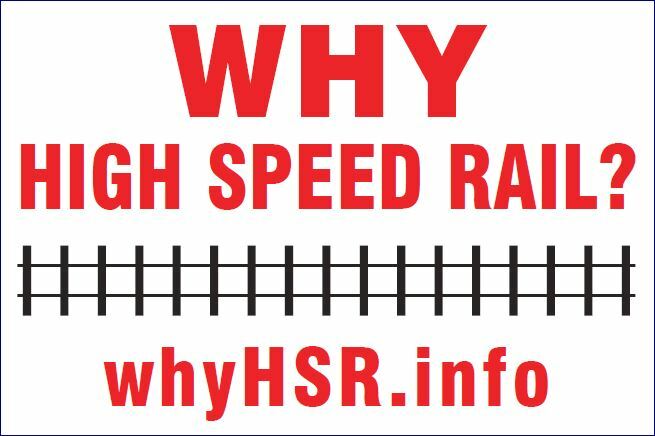 No estimate is made for the mix of 200 and 250 kph trains proposed for HSR. No data or methodologies were provided to support the 73 minute travel time. ← Item 4: We asked for the data and methodologies used to support the ridership numbers between London and Kitchener.